CJ Windscreens is your vehicle’s first emergency service! In your hour of need CJ Windscreens provides an efficient and effective service that takes the hassle out of having to get your car glass replaced or repaired. We can also ensure that it doesn’t ‘cost you’ with our insurance direct billing service. 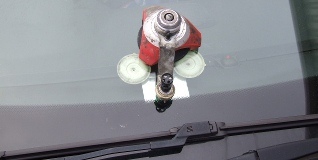 If you have a chipped, cracked or broken piece of glass that needs repairing or replacing in your car all you have to do is…. Call CJ Windscreens – Phone: 01709 865157 or 0800 043 0275. We do the hard work from here on and you can expect us to…. Talk to you like a real person! You are the priority and so CJ Windscreens are fully mobile and come to you, wherever and whenever you want, for your convenience. We have helped customers at their place of work, home, cinemas, the supermarket and many other unexpected places! It is up to you! 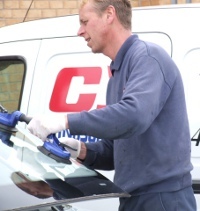 CJ Windscreens provides a reliable, convenient and hassle free service across all areas of South Yorkshire including Rotherham, Doncaster, Barnsley, Sheffield, Chesterfield, North Nottinghamshire, Wakefield and surrounding areas. With full public liability insurance you can trust us to deliver a smooth, clean and transparent service.